The Ferrari F430 shared its aluminum chassis with the 360 that preceded it, but its Pininfarina-penned styling charted a new course for Maranello. 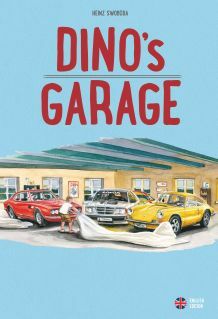 The F430 channeled Ferrari’s past designs with taillights from the Enzo, Testarossa-like side mirrors that stretched out from its A-pillars, and ducts integrated into its sides and front fascia akin to 1960s Formula 1 cars. Pininfarina’s Frank Stephenson is credited with the F430’s striking design. Though its styling was eye-catching, the F430’s big newsmaker at its debut at the 2004 Geneva Motor Show was under its glass engine cover. The F430 marked the first use of Ferrari’s new dual overhead camshaft, 32-valve V-8 engine, codenamed F136 E. The 90-degree V-8 was co-developed with Maserati, but Maranello’s version got its own 180-degree flat-plane crankshaft. Chain-driven camshafts replaced rubber belts in the automaker’s previous eight-cylinder. The new, modern V-8 was the first clean-sheet design for Ferrari in about half a century. The new engine sent its approximately 490 hp to the rear wheels via either a six-speed manual transmission or the automaker’s six-speed F1 gearbox. It did not take long for Ferrari’s Corse Clienti department to take the wraps off a GT2 racing version of the F430. 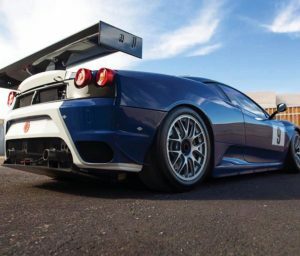 Developed with longtime racing partner Michelotto Automobili, the F430 GTC was eligible for American Le Mans Series racing, the Le Mans Series, the FIA GT Championship, and even the 24 Hours of Le Mans. The F430 GTC made use of a downsized 4.0-liter version of the new V-8 in order to comply with FIA rules. The F430 GTC’s engine was rated at 470 hp, but its impressive power-to-weight ratio meant it was significantly faster than the 550-hp F430 GT3. A six-speed sequential-shift transmission put power to the wheels in rapid fashion. The F430 GTC got off to a strong start by winning the FIA GT2 Manufacturers’ Cup and Drivers’ title in 2006 and 2007, the ALMS GT2 Manufacturers’ Title in 2007, and it won the GT2 class at Le Mans in 2008. Ultimately, the F430 GTC made Ferrari a dominant force in GT racing, and this has continued with the 458 GT2 and 488 GTE. About 53 are said to have been built, including chassis no. 2604 offered here. 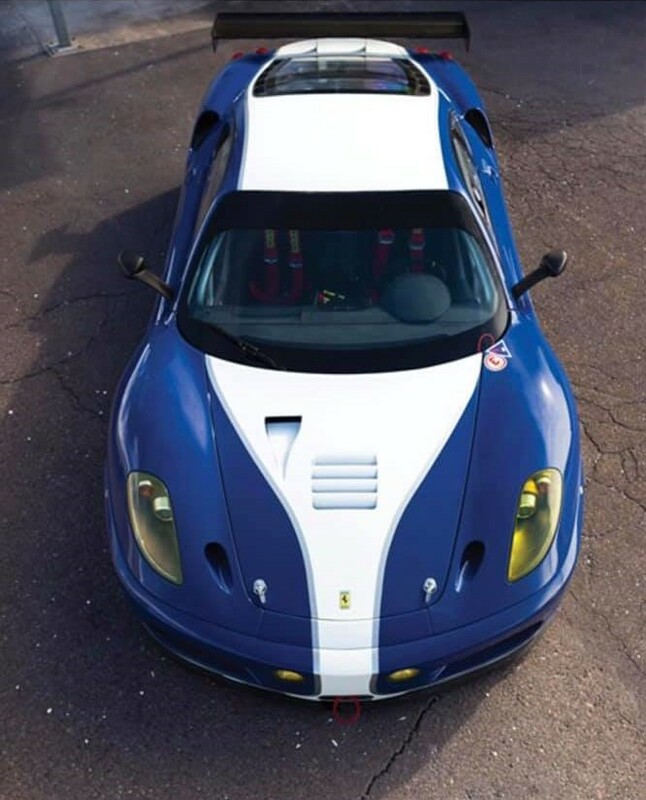 While most F430 GTCs were used in competition, this car has only ever been tested by Michelotto prior to delivery and never raced. Built on 9 January 2008, this F430 GTC was among the final examples built; a Ferrari Certificate of Origin signed by then-CEO Amedeo Felisa is included and verifies its chassis and engine numbers. When it was ordered through Corse Clienti, its first owner selected the optional data acquisition system, quick-refuel setup for its water and engine oil systems, and full lighting for 24-hour competition. A letter from Cristiano Michelotto detailing these additional features accompanies the car, along with photos of every stage of the build. It may not have been raced, but this F430 GTC is ready for competition as it has been maintained and routinely started throughout its life, as confirmed by an inspection by GTO Engineering. Unlike many GT cars which have been raced hard for several seasons and occasionally damaged, this example is ‘as-new’ with no stories and ready to be used by its next owner. Painted dark blue and white with silver detailing, this F430 GTC has a clean, elegant look. Its extensive lighting kit is evident up front, with two sets of auxiliary lamps integrated into its front bumper supplementing its headlights. The F430 GTC is in factory-original condition inside with its integrated roll cage, two OMP racing seats with a matching OMP three-spoke steering wheel, and a full array of competition switchgear. 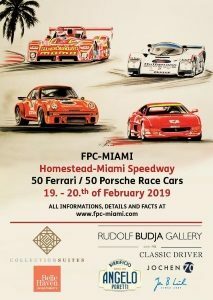 Ferrari has made the F430 GTC eligible for Club Competizioni GT racing in 2019, which will include five events for GT cars from the 1990s until today. Eligible cars range from the 348 GTC to the 488 GTC, including the F430 GTC. 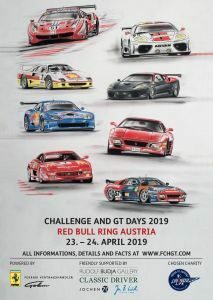 The races are set to be at the Mugello Circuit, the Indianapolis Motor Speedway, the Fuji Speedway, the Vallelunga Circuit, and an as-of-yet unannounced Finali Mondiali event. 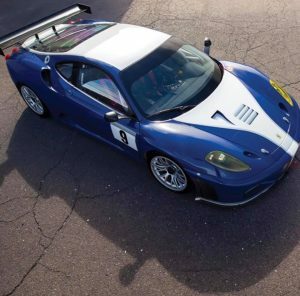 Whether its next owner chooses to race it in Club Competizioni GT or preserve it for posterity, this F430 GTC represents an unrepeatable opportunity to buy an ‘as-new’ Ferrari GT car.